Villa Sonia, a comfortable place to relax and enjoy your holidays, harmonised and blend with Balinese nature and culture. Nestled in Nyuh Kuning Village, the south side of Ubud, this lovely place is only a short walking distance from the sacred Monkey Forest and main touristic of Ubud. 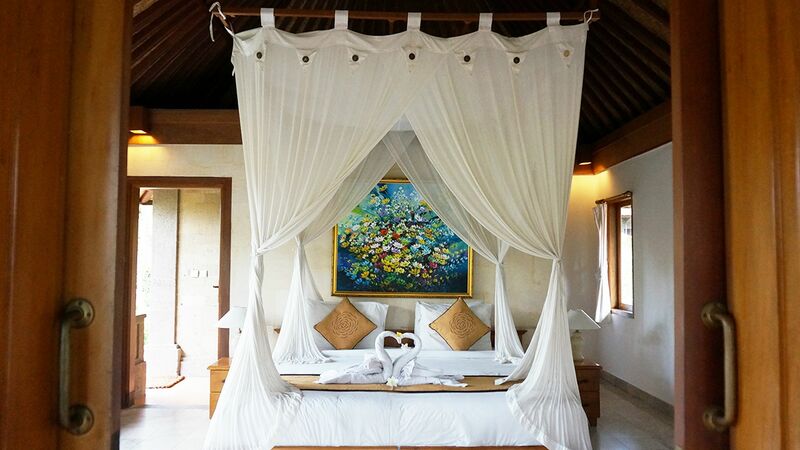 Villa Sonia features a total of 20 rooms including Deluxe Rooms, Super Deluxe Pool Access and Suites with private balconies and terraces that designed in Balinese style blended with modern architectures. Set within a beautiful green landscape, Villa Sonia completed with two swimming pools, dedicated Spa, and dining place 'Warung Wareg' to enrich your culinary experiences with the array of local and International cuisine. The entire property has been designed to harmonise with the surrounding environments.